RC4WD Trail Finder 2 Kit « Big Squid RC – RC Car and Truck News, Reviews, Videos, and More! 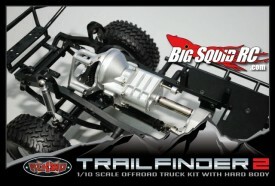 If you’re into scale RC, then RC4WD probably sounds familiar to you. 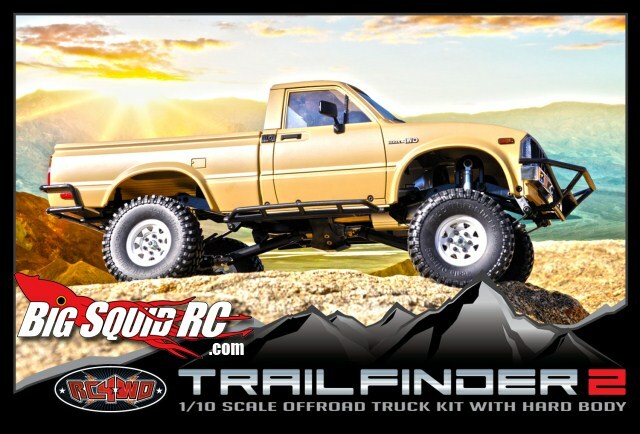 Their new Trail Finder 2 Kit offers some awesome features, such as a two-speed transmission, highly detailed bodywork and scale leaf spring suspension to name but a few. It comes with everything you need to get up and running, minus elecronics, including high-grip Mud Thrasher tires and a Mojave body kit. Being RC4WD, durable metal parts will last a lifetime, but a wide range of option and performance parts are also available. Head over to the RC4WD Website for full details.